Four years, twelve terms, thirty six classes, one hundred and twenty weekends and one glorious sophomore summer. That is all the time most Dartmouth students get here. The question is how to make the most of it. The temptation this summer is obvious — take the easier course load and enjoy the summer with your friends. It’s possible to lose sight of the fact that summer term is still a term, one of only 12 we get. While taking two layups and concentrating on drinking, hiking, swimming or tanning does have a certain appeal, we ought to still respect this term for what it is — one of our quickly dwindling opportunities to take classes from the world-class professors here. Many of us face the choice each term between a challenging class that genuinely interests us and the so-called layup, a course that often has little work and students can choose to engage with minimally. During the summer, the appeal of the layup is all the greater, but we encourage our fellow sophomores to still challenge themselves this term. This is a term to enjoy, like every term should be, and it is certainly a time for class bonding, adventure and fun, but it’s also a time where we should be learning and growing professionally and academically. The focus on academic rigor on campus this year has forced us all to think critically about what academically is strong at Dartmouth and what is lacking. 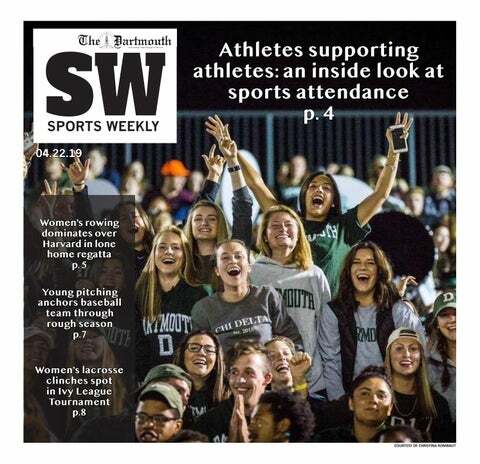 This editorial board believes that one of Dartmouth’s greatest strengths is our ability as a community to engage outside the classroom and to show our love for the unique opportunities our remote campus provides. Here at Dartmouth we’re more than academic automata, as we cultivate a wide variety of passions and interests. The administration ought to recognize that as one of the strengths of its student body. When the classes with A- medians and very little homework fill up and the classes that are known for being more challenging barely have enough students to fill the first row of seats, we are proving the administration right. We should take advantage of each of the approximately 36 classes we have the opportunity to take here and not throw away any on courses we do not have interest in or engage with — not even during sophomore summer. Each of us have worked hard to get here. While the classroom is not the only setting in which we learn and grow, it is a crucial place for us to do so. So have fun this term, adventure this term, cross of items on your 15X bucket list, but also remember the value of engaging in the classroom as well as outside of it.